My friend Amanda (the redhead in red) talked me into going with her and her husband to the annual summer party on Governor’s Island. What fun! We spent the whole day picnicking, dancing and having our photo taken (of course!). 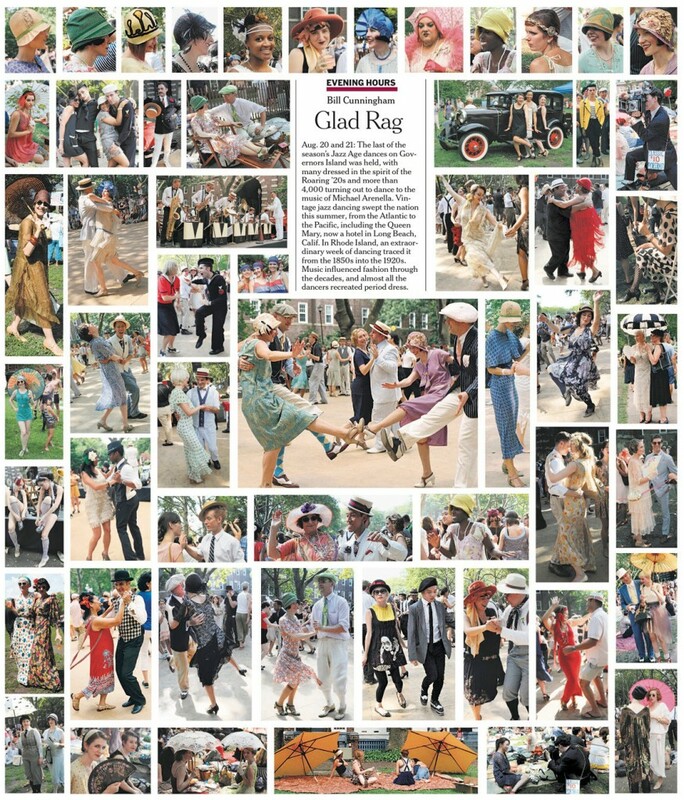 One of which, taken by the renowned Bill Cunningham, landed us on the style page of New York Times! (We’re in the last row, third from the left). As for the fashion, I pulled all of this from my closet, believe it or not. The dress is actually a Mary Green nightgown that I found at Century 21 – who says loungewear is not for the outdoors! 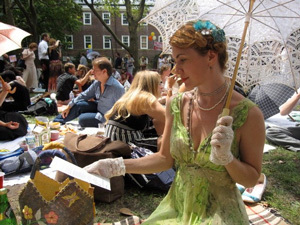 I bought the parasol in Chinatown some five years before, for walking around NYC on those hot summer days. Gloves I bought years ago, on one of those “this is awesome!” whims, then proceeded to never wear them until this day. Which means whatever it is, if you love it and can afford it – get it! You never know when you may need it. Purse and shoes are some old staples from my closet that I wear on a regular basis, with “regular” clothes.